Paratroopers descend upon Sainte-Mère-Église, France, June 3, 2018. 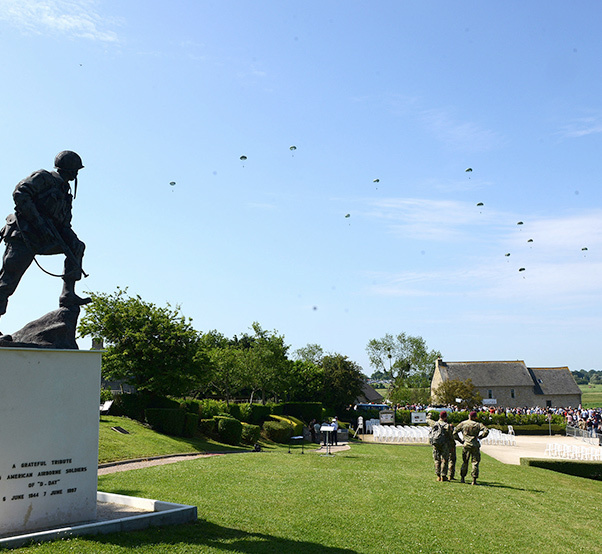 The D-Day memorial airdrops involved paratroopers from the U.S. Army and other Allied nations. U.S. Army Gen. Dwight D. Eisenhower, the Supreme Commander of the Allied Expeditionary Forces in Europe during World War II, spoke these words to his troops before the Battle of Normandy in 1944. The war had been raging for several years, and now the U.S. and its allies decided to invade enemy-occupied territory. The battle, known famously as D-Day, was catastrophic. On the first day of the invasion alone, Allied casualties exceeded 10,000 troops. Throughout the course of the campaign, the casualties multiplied to more than 200,000. However, the Allies managed to break through enemy defenses and capture critical beachheads. These achievements paved the way for the liberation of Europe— and ultimately victory over the enemy. Fast forward 74 years later: U.S. and allied troops landed upon Normandy again— not to liberate the region from tyranny, but to honor those who did. Aircraft from the U.S. and other allied nations airdropped parachutists, both military and civilian, over the town of Sainte-Mère-Église to commemorate the Normandy campaign. 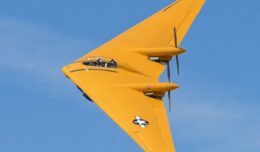 Many of the aircraft in the formation came from the 37th Airlift Squadron, based in Ramstein Air Base, Germany. The 37th AS is a descendant unit of the 37th Troop Carrier Squadron, which dropped paratroopers near Sainte-Mère-Église on D-Day. 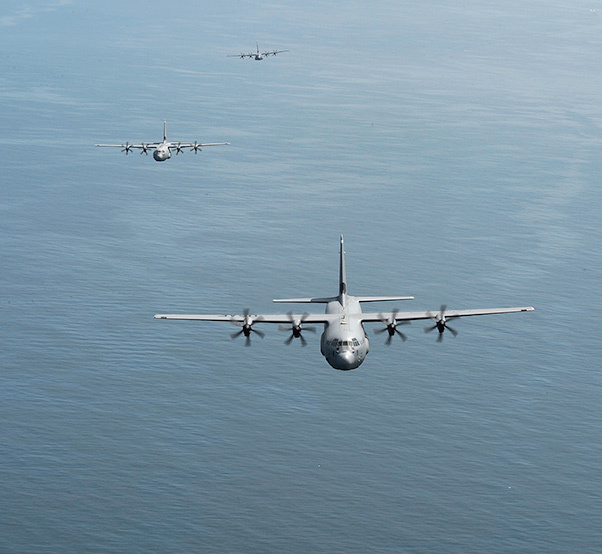 A formation of C-130J Super Hercules assigned to the 37th Airlift Squadron flies over the English Channel June 2, 2018. The 37th AS is a descendant unit of the 37th Troop Carrier Squadron, which dropped paratroopers over Normany on D-Day. Brig. 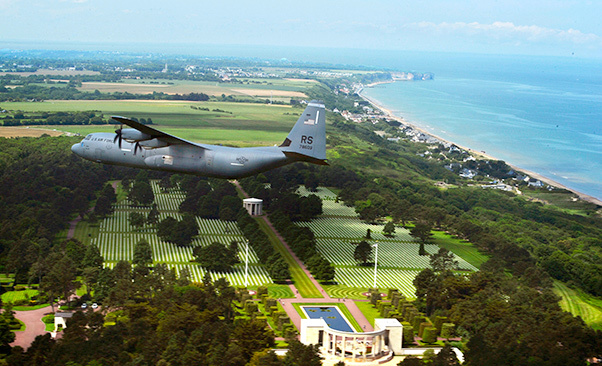 Gen. Richard G. Moore Jr., commander of the 86th Airlift Wing (which includes the 37th AS), conducted memorial flights across the Normandy region prior to the airdrops over Sainte-Mère-Église. He led formations over former battlefields such as Omaha Beach and Pointe Du Hoc. If one were to visit Omaha Beach today, they might find the scene typical of a sunlit shore: children playing and flying kites, couples walking hand-in-hand along the sea, and tourists scouring the sand for shells. It can be difficult to imagine that the beach was the site of one of the bloodiest days in history. A U.S. Air Force C-130J Super Hercules drops paratroopers over Sainte-Mère-Église, France, June 3, 2018. 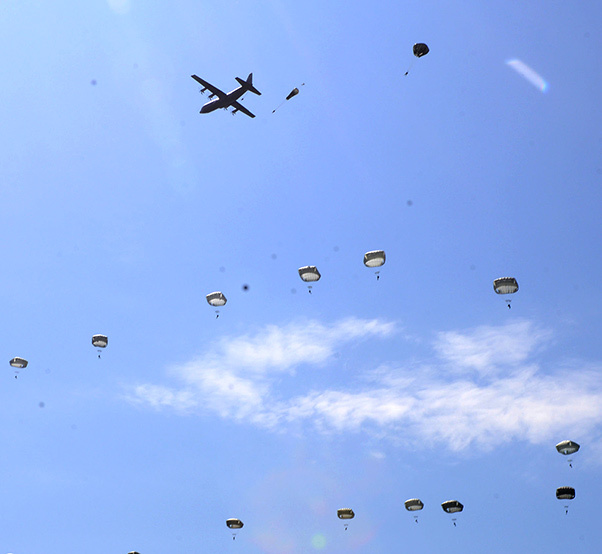 U.S. and Allied aircraft conducted memorial airdrops to commemorate the Battle of Normandy in World War II. Both Moore and Foley would agree that this is a mission yet to be fully accomplished.